Where once the only choice of dental braces may have been traditional metal ones that looked like metal train tracks, we now have a selection of modern braces systems to choose from! Innovative dental braces designers have taken into consideration personal preferences in style, comfort, lifestyle and discretion. Current fashion trends often dictate what type of brace a person could choose, with different models and celebrities choosing to accessorize their braces with colours they feel confident enough to wear. Geek Chic has been a recent fashion phenomenon that has brought brace wearing into sharp focus. Some people have are even known to wear fake braces. In certain instances people may still feel uncomfortable wearing braces, usually as people get older they feel braces are no longer a solution due to stigma’s, as often, people are unaware of the range of orthodontic options available to them. Advancements in orthodontics are leading to shorter treatment times, and this has seen a sharp rise in the number of people attempting to achieve the perfect smile. Out of all braces systems available, there is one to match not only your orthodontic condition, but your personality too! Braces systems may be made from clear plastic aligners, with tooth-coloured materials, to be self-ligating or lingual. 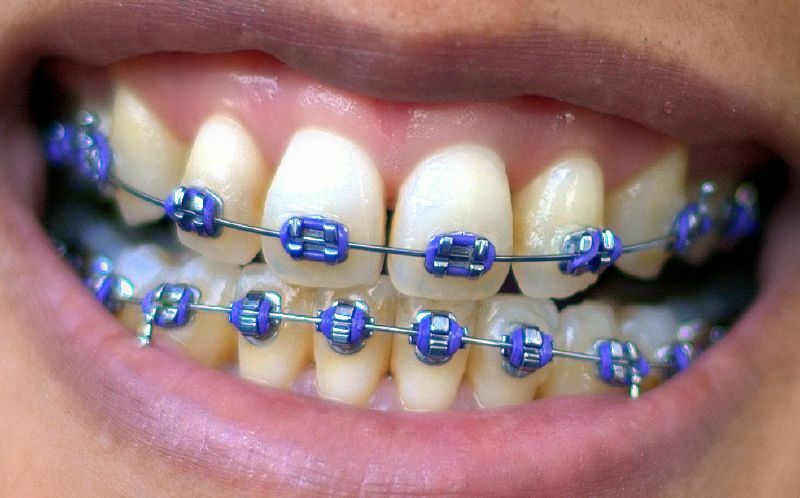 Wearing modern braces is now trendy and no longer carries the stigma of the conventional metal ones. How severe is my orthodontic condition? What is the shape of my mouth and lips when I smile? How many of my teeth show in the “smile zone” when I smile? What life stage am I at? Are braces needed for teens, adults or seniors? Do I prefer clear plastic to wear over my teeth or tooth-coloured ceramic brackets? Do I want near-invisible braces or totally invisible braces? Should the braces be fixed or removable? These questions are relevant when trying to match the right choice of braces system for your personal needs. A fixed braces system may be needed for severer orthodontic conditions while those with milder diagnosis may prefer a removable braces system. A removable braces system may be more appropriate singers, musicians and sports people. The number of teeth that may need straightening and whether located on the upper or lower jaw is important when selecting a braces system. Teens may prefer clear aligners with built-in sensory reminders for aligner replacements. Those fearing stigma, may wish to opt for the total invisible lingual experience where the brackets are placed behind the front teeth. Invisible braces such as Invisalign and Clearstep are made of clear plastic aligners that fit over the front teeth like a mouth shield. Invisalign i7 may be used to treat a range of orthodontic conditions, giving discretion and comfort during wear. Individuals opting for invisible braces prefer the choice of having a removable braces system, easy to wear and remove for lifestyle activities such as sports and playing wind instruments. Invisible aligners may straighten teeth within six months and are ideal for those wanting an option that is aesthetically-pleasing while achieving successful teeth straightening results. This type of brace system would suit people who are self-conscious about improving their looks or feel that they may be in an environment where they may be teased about the way they look, such as an office environment or an uneasy teenager in school. Many people find the anonymity of wearing these types of braces a suitable option to wearing the tradition train track types of braces. Lingual braces may be used to treat a range of orthodontic conditions. Designs such as Incognito lingual braces and STb Social 6 have grown in popularity because of the total discretion offered by these fixed braces and their functionality. This discretion allows people from all walks of life to free at ease with their dental treatment, and not get harassed in the process. The fine brackets may be made of tooth-coloured ceramics to fit behind the teeth, connected by an arch-type wire with self-ligating mechanism. Self-ligating technology aims to give passive orthodontic pressure for teeth straightening while reducing friction during wear. Modern braces with self-ligating technology do not use elastics and are considered more hygienic than traditional metal braces system. This is because certain foods that get caught within the more traditional brace are less likely to get trapped within the lingual brace. What’s for certain is the future of orthodontic is looking brighter, funkier and more stylish, no matter what your personality, there are options available. With more awareness and understanding there may be a day when everyone can feel comfortable expressing themselves through braces.